Bulls will be better under Jim Boylen, but how good should they really want to be? The Chicago Bulls have replaced Fred Hoiberg with Jim Boylen, and the team should take a step forward as they get key young players back in the lineup. But with a 5-19 record, how much better should they really want to be in advance of another key draft? Jason grew up in the Chicago suburbs and has been a Chicago sports fan since watching John Paxson hit the game-winning 3-pointer in the 1993 NBA Finals. He has written about the NBA for SB Nation, FanSided and FanRag Sports. He is a contributor to BetChicago with a Chicago Bulls/NBA focus. The Chicago Bulls [fired Fred Hoiberg Monday](https://www.betchicago.com/bulls-fire-fred-hoiberg-nba-odds) after starting his fourth season at the helm 5-19. 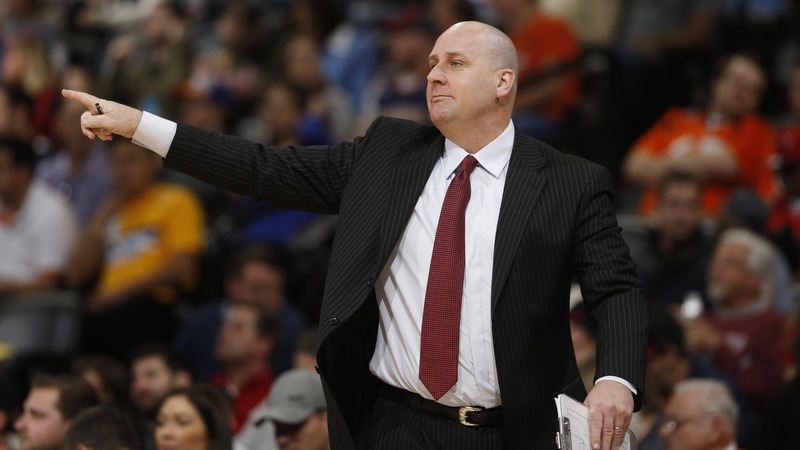 Associate head coach Jim Boylen will take over and get every opportunity to get the long-term gig under John Paxson and Gar Forman, who aren't going anywhere, much to the chagrin of many fans. It's not a huge surprise the Bulls are 5-19 given their circumstances. [Las Vegas had them around 30 wins to start the season](https://www.betchicago.com/nba-title-odds-win-totals-bulls-2018), and that was before we knew Denzel Valentine wouldn't play a single game all season and both Kris Dunn and Bobby Portis would miss over a quarter of the campaign with knee injuries. With no Dunn, Portis, Valentine or Lauri Markkanen, Hoiberg had been trotting out a subpar product before getting canned. Paxson [claimed Monday](https://twitter.com/chicagobulls/status/1069671682732945408) that the win-loss record had nothing to do with the firing, instead citing the Bulls' lack of spirit, desire and energy over the last few weeks ([yikes](https://twitter.com/DarnellMayberry/status/1067289275576786945)). Paxson then pointed to Boylen's passion and energy as a reason why the Bulls like him as a replacement for Hoiberg's more laid-back style ... even though that was sold as a positive after the Tom Thibodeau years. It *is* a surprise the Bulls made this move after just one game of Markkanen in the lineup and right before the impending returns of Dunn and Portis in the next week or two. [The assumption](https://www.betchicago.com/bulls-fred-hoiberg-next-head-coach-fired-odds) was that Hoiberg would get a last chance with this young core before potentially moving in another direction. The Bulls clearly didn't see it that way, and they've now set up Boylen to naturally look better by comparison almost no matter what. There's nowhere to go but up as the lineup gets bolstered by legitimate NBA talent. Markkanen is a franchise cornerstone who was primed to take a big step in his second season before his elbow injury. He was rusty in his first game back against the Houston Rockets, but he's going to be a huge help for a struggling offense once he finds a rhythm. Dunn may not be an above-average starting point guard yet, but he has more potential than Ryan Arcidiacono, who has played admirably as the starter but is limited nonetheless. Meanwhile, Dunn's return likely banishes Cameron Payne from the rotation for now, which immediately improves the team. Portis is an emotional leader who will also boost the Bulls' offense. __Read more:__ [BetChicago NBA coverage](https://www.betchicago.com/nba-betting) It seems crazy now, but it's not out of the realm of possibility that the Bulls turn things around and get over that 30-win mark set for them before the season. They'd have to go 26-32 to do it, which isn't great but wouldn't be bad for an up-and-coming team. The question is: Should the Bulls actually want to win a fair amount of their remaining games at this point? To many, the simple answer is yes, because you play to win the game. Winning means the likely positive development of the young core while building strong habits and perhaps even an identity, something that has been lacking in recent years. On the other hand, the Bulls are already so behind the eight-ball with their record, tanking for the highest draft pick possible is an attractive option. Having the chance to draft somebody like Duke's Zion Williamson to be a superstar who can bring the whole rebuild together sounds enticing. __More:__ [Enter our free contests here](https://betchicago.chalkline.com/) The reality should be somewhere in the middle. The Bulls need to see this young core play together and get more valuable data points on what they have in place. These guys aren't going to try to lose games, and neither will Boylen as he tries to prove his worth as the long-term answer at head coach. But the Bulls' front office can help the cause by moving veterans Justin Holiday and Robin Lopez. Holiday was shooting over 41 percent from 3 this season before a recent skid dropped him just under 39 percent, which is still a good mark. He has a cheap $4.38 million expiring deal and could help a bunch of contenders looking for shooting help. Lopez is valued for his leadership and is a bit more difficult to move at $14.36 million, but he could also be a buyout candidate down the road if a trade can't be found. Basically, the Bulls should go with a full-blown youth movement, and that involves giving minutes to players like Payne and Cristiano Felicio off the bench. If they choose that approach and win games, it would be hard to complain and there would be more excitement about the future. It's also worth noting that [with the lottery odds](http://www.tankathon.com) flattening out this year, finishing with the worst record isn't needed to have the best shot at getting the No. 1 pick. The three worst teams now all have a 14.0 percent chance at the top pick, and the odds continue to be flattened after that. In an ideal world, the Bulls win their share of games with the youngsters but lose enough in a competitive fashion to put themselves in a good spot to get lucky in the lottery. This is something Hoiberg may have been able to coax out of this squad given he basically did that last season (they were actually slightly better than expected), but now it will be on Boylen's shoulders. Boylen's first order of business was to insert Markkanen back into the starting lineup and move Jabari Parker to the bench for Tuesday's Central Division showdown against the Indiana Pacers. The Bulls are 8.5-point underdogs at Bankers Life Fieldhouse, [per Bovada](https://www.bovada.lv/sports/basketball/nba), but look for them to be competitive in Boylen's first game with Victor Oladipo sidelined. A win to snap a six-game losing streak shouldn't even be that unexpected. Can the Bulls get anything of real value at 2019 NBA trade deadline? NBA stock watch: Can Celtics, Jazz and Rockets turn around their seasons? Could Bulls' Fred Hoiberg be next head coach fired?